First off, thank you SO MUCH for your excitement about my book announcement. I appreciate each and every comment! I have a few finishes to share today! 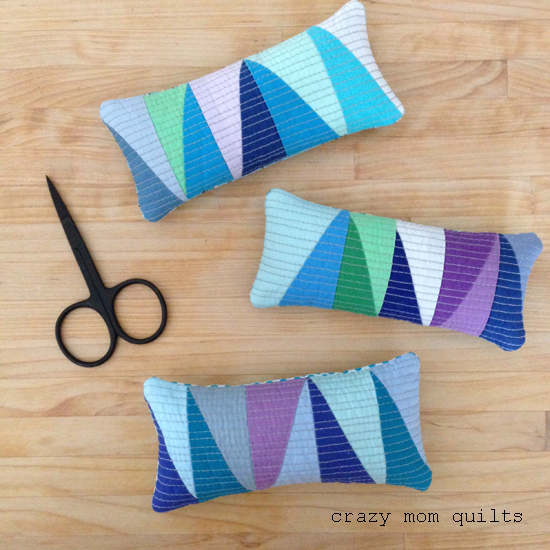 This trio of pincushions were inspired by one that my friend Cindy made. The scraps came from Cindy, as well. 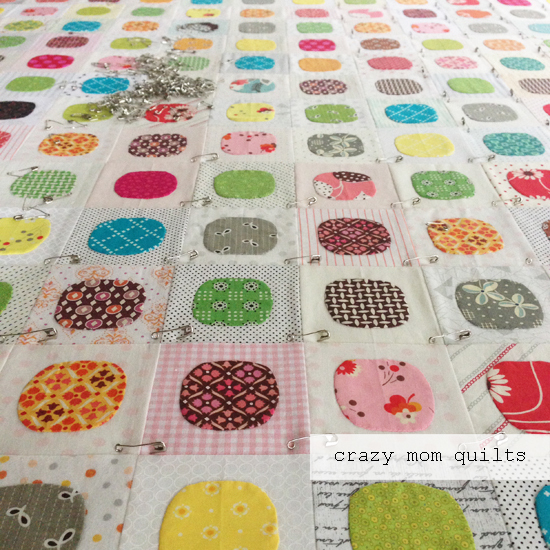 Originally, I had the three strips sewn together to make a mug rug or mini mat. I decided that they would be cuter as pincushions, so I ripped the strips apart and quilted them separately. Aren't you surprised that pincushions won out? (Ha!) I love these! They are scrap project #181. 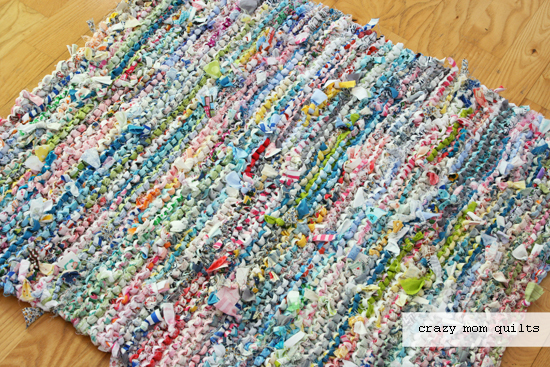 I finished another knit rag rug, too! 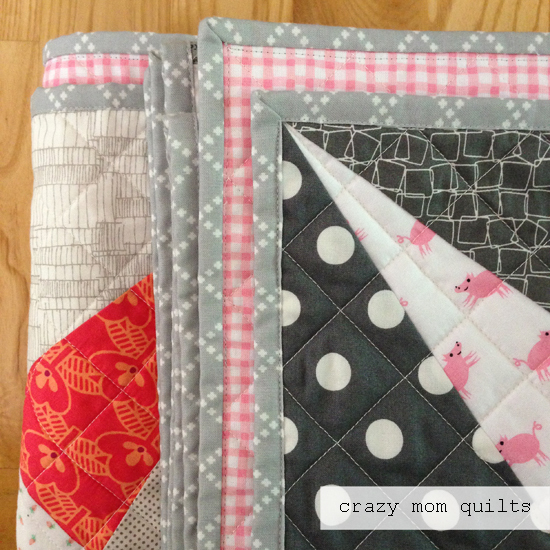 I love making these because they eat fabric scraps. (I've estimated that one rug uses at least 5 yards of fabric.) These rugs are also helpful for using sub-par or ugly fabric. Not that any of us would have any of that, right? (There is a tutorial here, if you care to make a rug of your own.) I knit this one on size 35 needles and cast on about 40 stitches. This rug was in progress for quite awhile, so I'm excited that it's finished. It is scrap project #182! Now it's your turn! Do you have a finish to share today? If so, please link up. Thanks, as always, for joining me for finish it up Friday! I have another finished quilt to share today. Hurray! 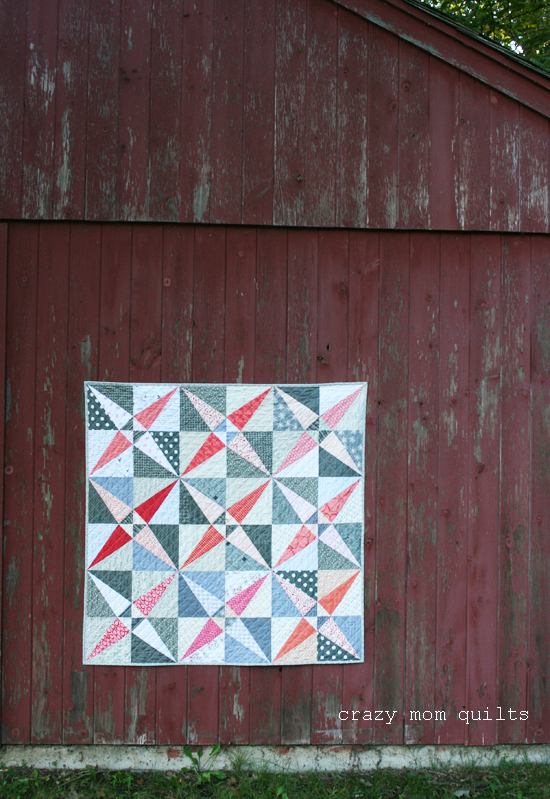 I started this quilt in the spring because I was teaching a class in Brainerd on curved piecing. A few weeks ago, I taught the same class in Minneapolis. 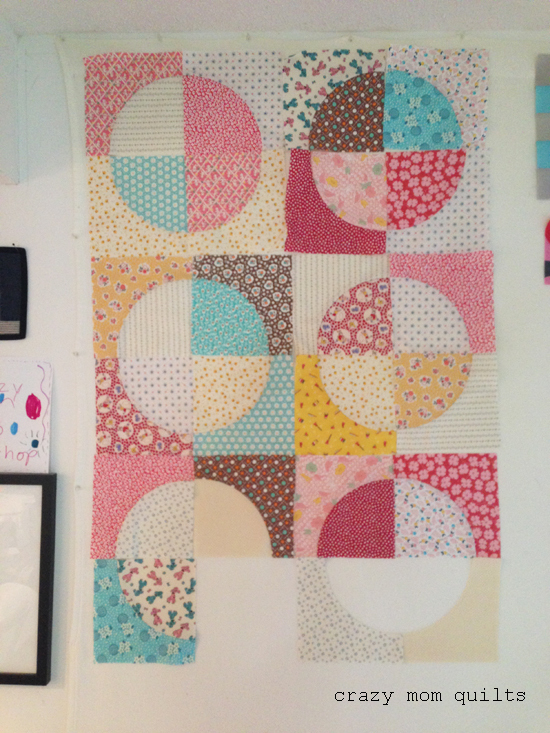 I'm very glad to have the quilt completed already! 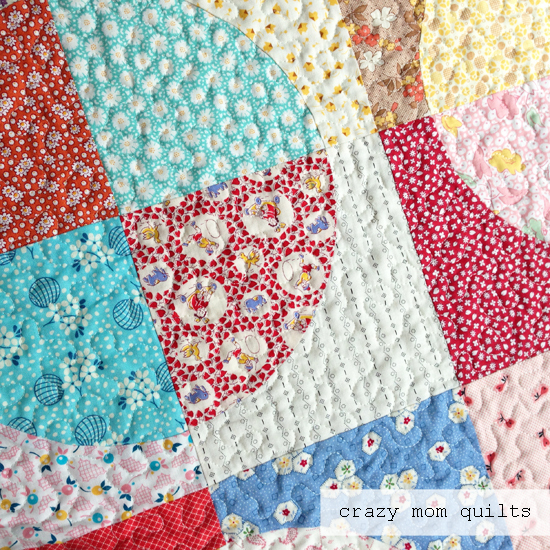 There is a tutorial here, if you'd like to give curved piecing a try. Most (if not all) of the fabrics are 30's prints. 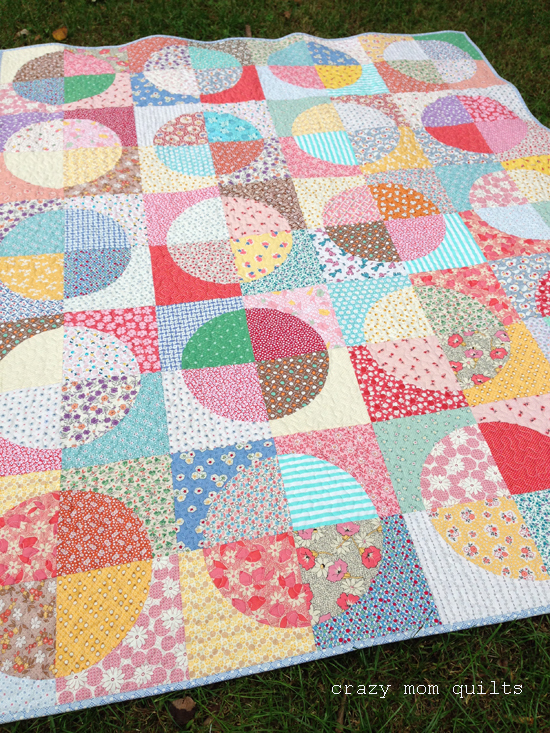 That means that the quilt has a vintage feeling already, even though it's new. I love that! It does have a fantastic texture already, even though it hasn't been washed yet. The finished quilt measures about 56" x 80". This brings my WIP list down to 11, which feels pretty darn good! Thanks for all your kind comments here on the blog this week...and thanks to those of you who purchased my most recent pattern. I appreciate your support more than I can say! How about you? Do you have a finish to share today? If so, please link up! Thanks for joining me for finish it up Friday! 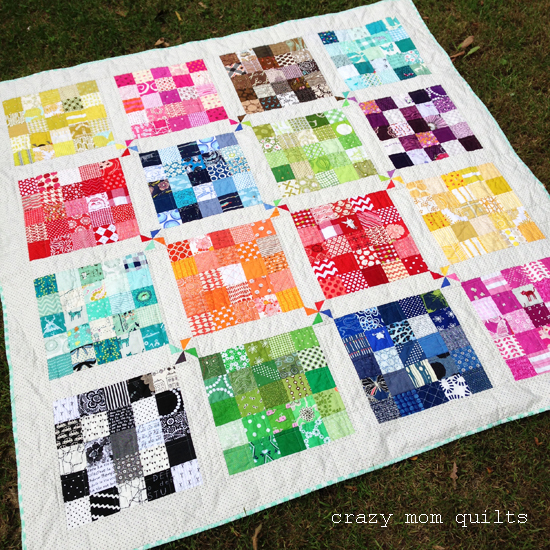 My original intention for this quilt was to use up little white scraps. Let's ignore the fact that it took about 5 yards of background fabric to use up the equivalent of 1/3 of a yard of white scraps. (Hahahaha! Welcome to my world!) 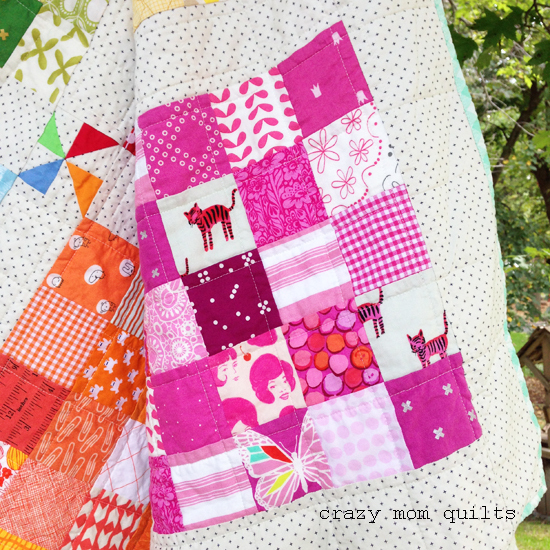 I do love this quilt and how it turned out, even if it isn't an efficient scrap buster. I love the simplicity and the minimalist design. The texture isn't too shabby, either! 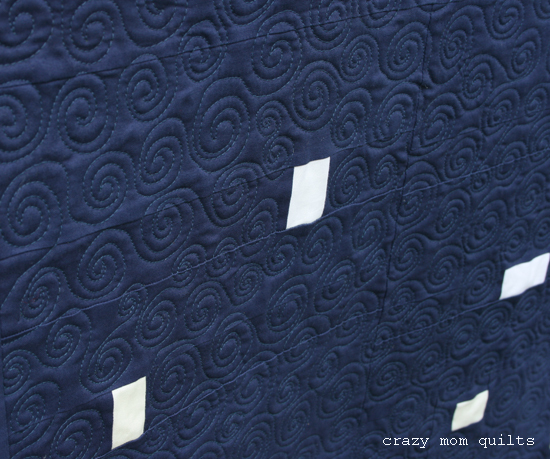 Since the piecing is simple, I wanted the quilting to be just the opposite. I quilted this on my domestic machine--on my Juki. I ran out of thread (can you imagine???) 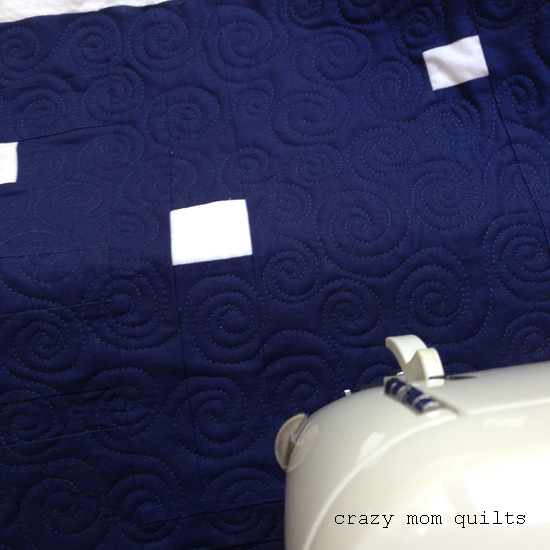 when I was about 80% done with the quilting. My friend Kristin supplied me with a spool that was ALMOST a perfect match, so I could finish the quilt without having to wait for a thread order to arrive. (Thank you, Kristin!) It is really hard to lose momentum when you are so close to a finish! 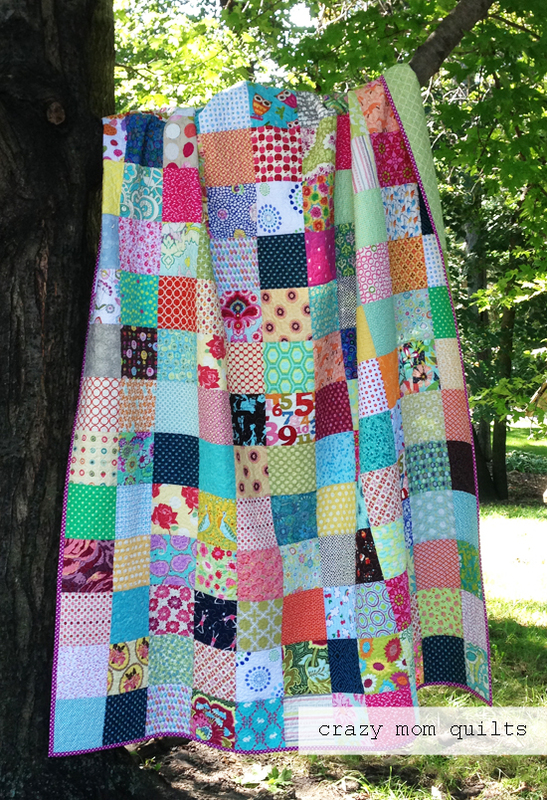 For the back of the quilt, I used Kona peapod. The color looked super funky when I pulled the bolt off the shelf at the store, but I am absolutely certain that it was the right choice. It shows every single stitch, but it was worth all that pressure. (ha!) I love the pop of contrasting color on the back. 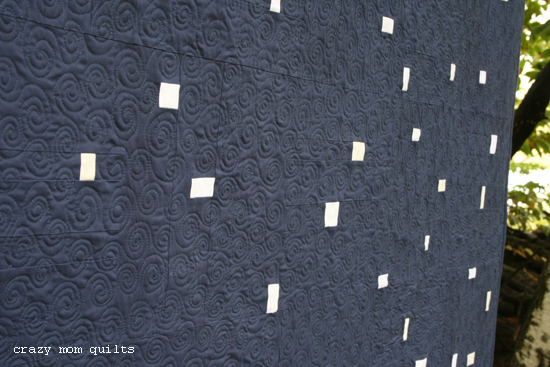 The front of the quilt (and binding) is Indigo solid by Connecting Threads. This color has been discontinued, but Persian blue would be a lovely substitute. Kona colors that are similar to this are Storm and Nautical. The quilt measures 60" x 72". It's scrap project #180! 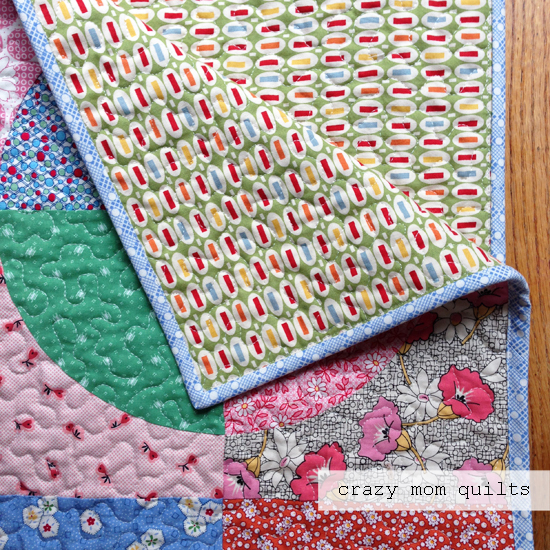 I wrote up a pattern for this quilt, too! Rather than giving exact measurements for each piece, the blocks are pieced improvisationally. 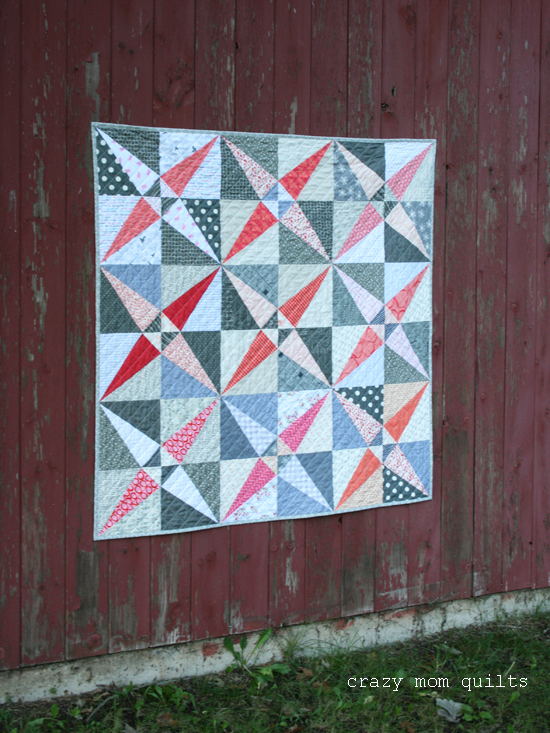 There are plenty of tips and diagrams included in the pattern that will help you be successful with improvisational piecing, even if it is your first time. The pattern is available for purchase in my Craftsy shop. It will be on sale for $6.00 for the next few days. After that, it will be regularly priced at $9.00. 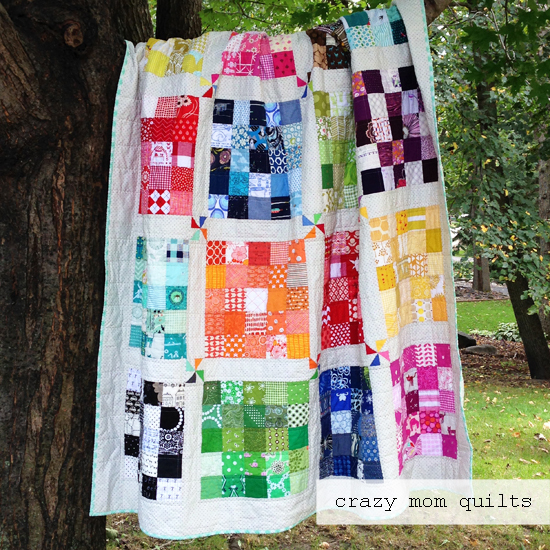 This was a fun quilt to make! I want to make another version (of course!) 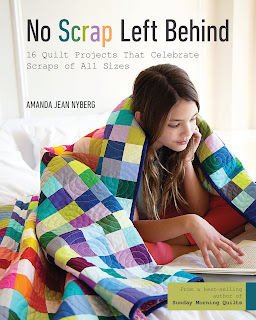 with a solid background, but with a variety of colored scraps so that the quilt looks like confetti. Wouldn't that be fun? I've been working hard on whittling down my WIP list. It's been very helpful to have some focus and it's good to see progress. My goal is to get below 10 works in progress before I start any new items. I would love to keep my WIPs at about a dozen or so. It's good to dream, right? I've been working on this one for a few months (or more). 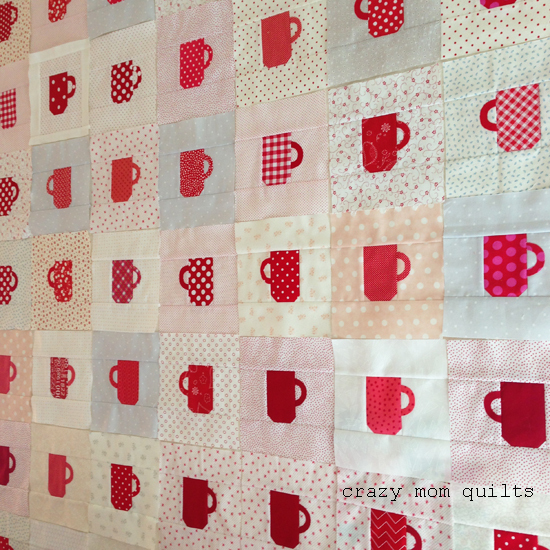 I decided to make a larger version of my mini coffee cups quilt, but this time in reds and whites only. I like the limited color scheme a lot! I have 65 blocks done, and 45 blocks to go for a lap size quilt. It's great to be beyond the half-way mark. 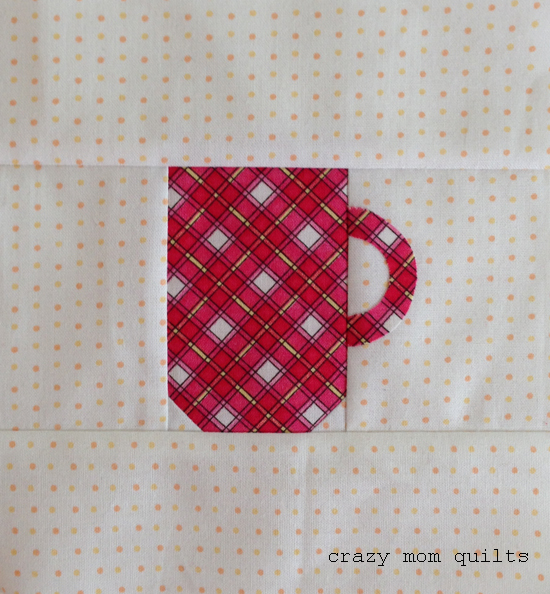 I love this plaid mug...so campy and cute! It feels good to be using my stash, too. 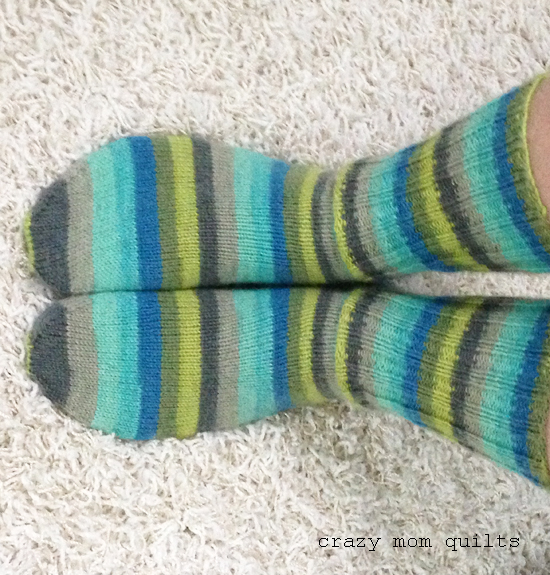 I recently completed knitting my 18th pair of hand knit socks. They might be my favorite pair to date! I love this self-striping yarn. It made it easy to make two socks nearly the same size. (I was one row off on the green tip at the toes. So close!!!) The yarn is Regia Stripemania 6 Ply in the Forest colorway. I have a few kiddos who would love to claim them as their own, but I don't see that happening! As usual, I used my basic sock pattern, with ribbing on the leg portion of the sock and stockinette stitch through the foot portion. They are so cozy! A few weeks ago, my friend Brianne came over for a last-minute end of summer hurrah. Our kids had a great time running around and playing, while we visited. She came bearing gifts! Look at this beautiful quilt that she gave me as a belated birthday gift!!! 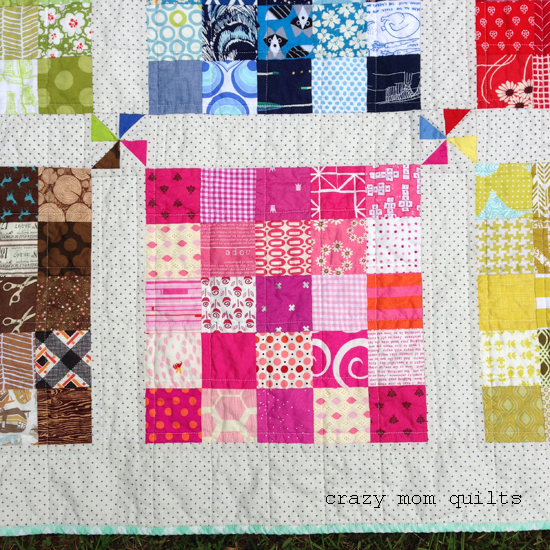 I'm still in awe...I can't believe that she made me a quilt! There are countless fabrics included...so many fun designs to look at. My daughter and I have had a lot of fun picking out our favorites. We have a LOT of favorites. Haha! 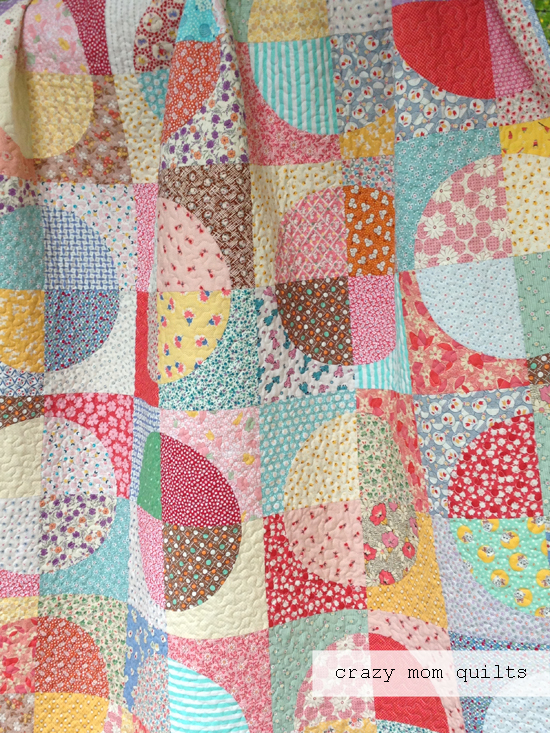 This is the kind of quilt that you can sit under and admire for hours. Here's a peek at the backing and binding. Perfection! I had to chuckle, because I didn't realize it until I was writing this post that all of the detail photos that I took highlighted the two pink squares. Isn't that funny? And, as if the quilt wasn't enough, she also made me a big pillow. It's 30" square and SO soft and comfy. I love the scrappiness of it! Isn't it beautiful??? Happy belated birthday, indeed! :) Many, many thanks go out to my friend Brianne! 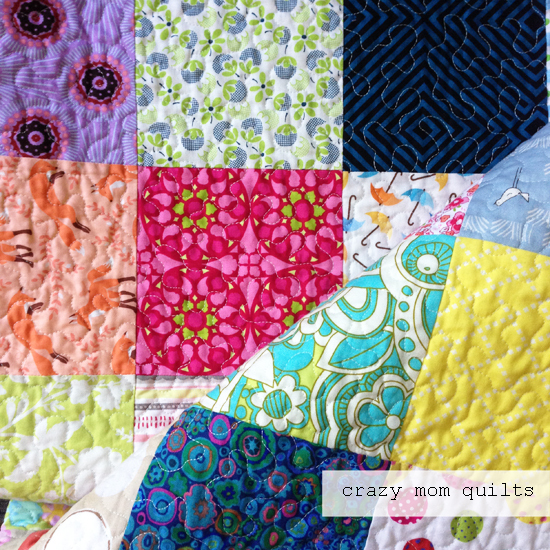 Have you ever been on the receiving end of a special quilt? If so, I'd love to hear about it! 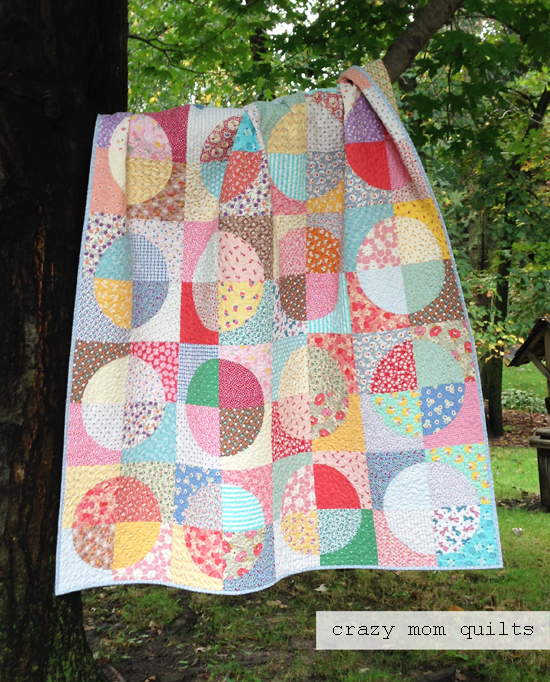 I've picked the winners of my good neighbors fabric giveaway! Deborah is the winner of the warm bundle and Ginger Marien is the winner of the cool bundle. Ladies, please send me your addresses so I can ship your fabric to you. Thanks to all of you who entered! Happy Monday to you! 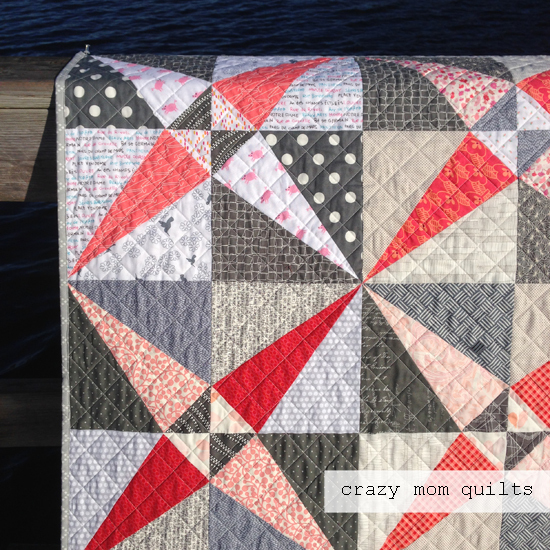 I have another finished quilt to share this week....that makes two in a row! Hurray for the structure that the school year brings! Ha! 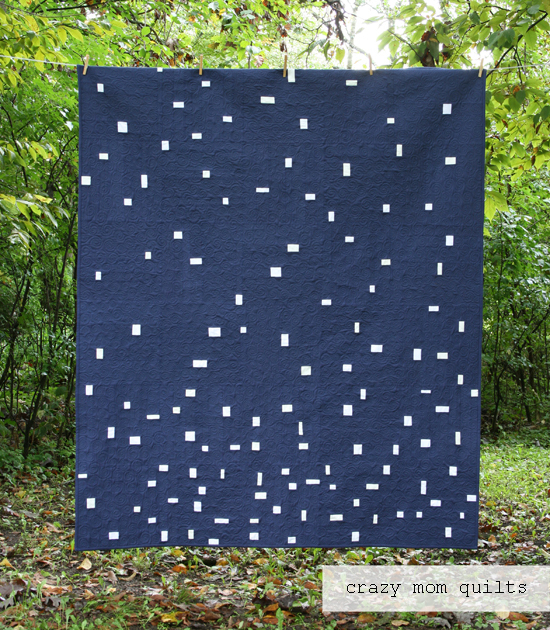 This quilt is based on a traditional block called crossed canoes. I drafted the templates in Illustrator and used those templates to piece the quilt. That was a new experience for me. It was time consuming and challenging, but definitely worth it. The first block I made was paper pieced and I didn't care for that method for two reasons: all of the bias edges and all the fabric waste. 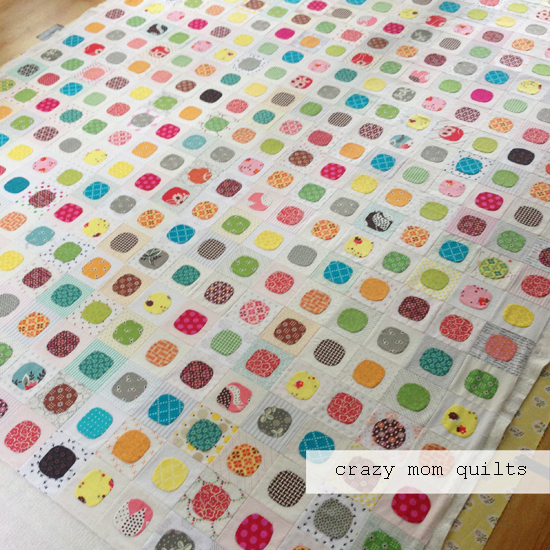 This quilt could look quite different if the values were rearranged. As always, so many possibilities! 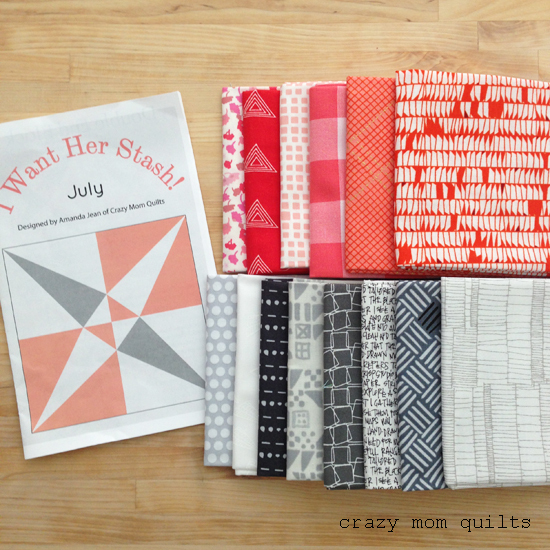 A portion of the fabric used in the quilt is from the "I Want Her Stash" bundle that I chose for Westwood Acres. (It was a lot harder to pick a bundle than I thought it would be!!! I am happy with how it turned out, though.) I love this color scheme and I have plans to make more projects using it. I quilted it with a simple crosshatch on my Janome Horizon. I only broke one needle while quilting. (I call that a win...some of those intersections are pretty bulky!) I'm so glad that I was able to find the broken needle tip and that it didn't make a hole in my quilt. (!!!!) 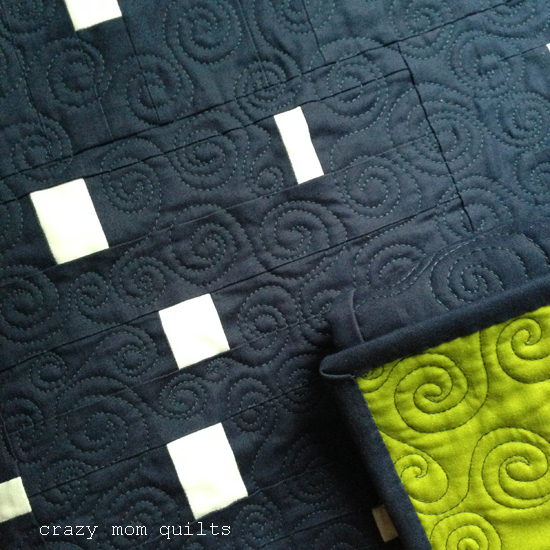 I marked all the quilting lines with my Hera marker, which is one of my favorite tools. 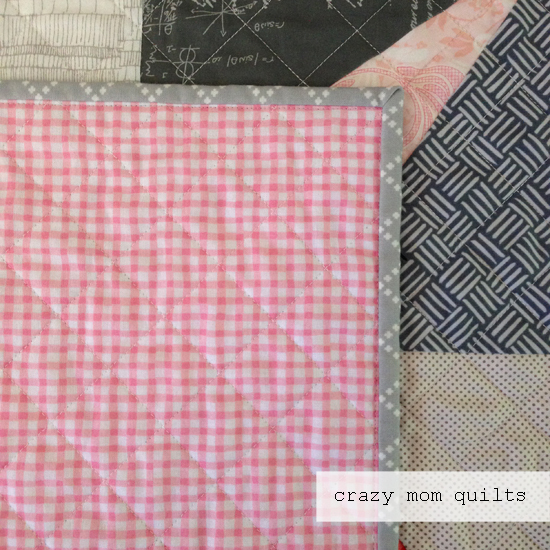 I used a sweet pink gingham that was extra wide, so I didn't have to do any piecing on the back. I could get used to that! How about you? Do you have a finish to share this week? If so, please link up! Thank you, as always, for joining me for finish it up Friday! I seem to have at least 20 projects going on at all times, so I decided that I am going to make an effort to show more of the process rather than focusing on showing finished products. It's good to enjoy the journey, right? I think WIP Wednesdays might become my new favorite thing! Today was basting day for the "dot your i's" quilt! This project has been a labor of love...but worth every single stitch. 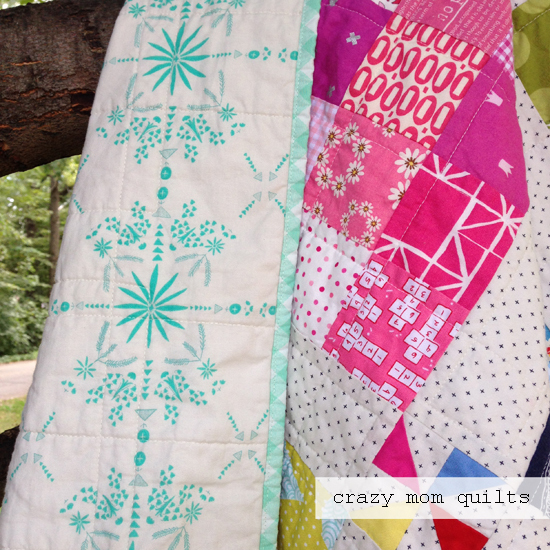 You can find the details about the quilt in this post. Most of the fabric is from the original flea market fancy line by Denyse Schmidt, which is long out of print and some of my most hoarded fabric. 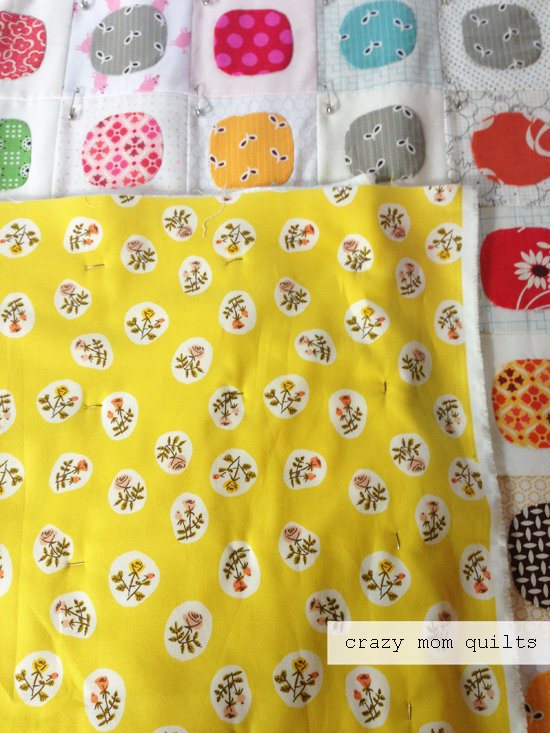 There is also some hope valley fabrics (also by Denyse) along with some of my good neighbors fabric (yay! ), and about 5 other random prints that worked well with what I had going. All of the background squares are either low volume, very light solids or white on white fabric. I am thrilled with the combination! I had a very hard time choosing backing fabric, but I finally landed on this sweet print from Heather Ross from her Tiger Lily collection. (I got it on clearance at Connecting Threads...for a screaming deal. Hurray!) 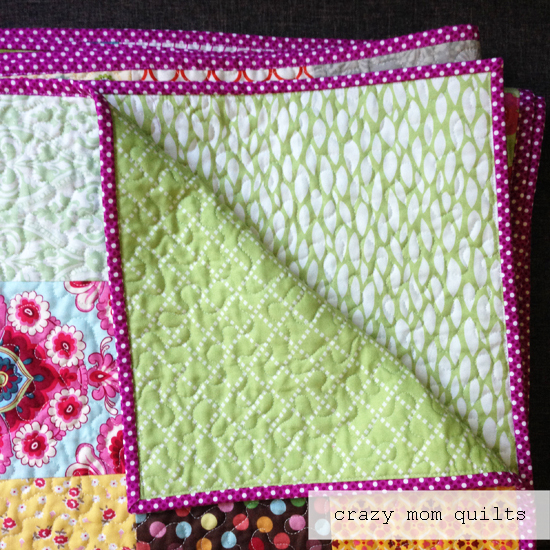 I adore how this print works with the front of the quilt. It has the exact vintage feel that I was looking for. 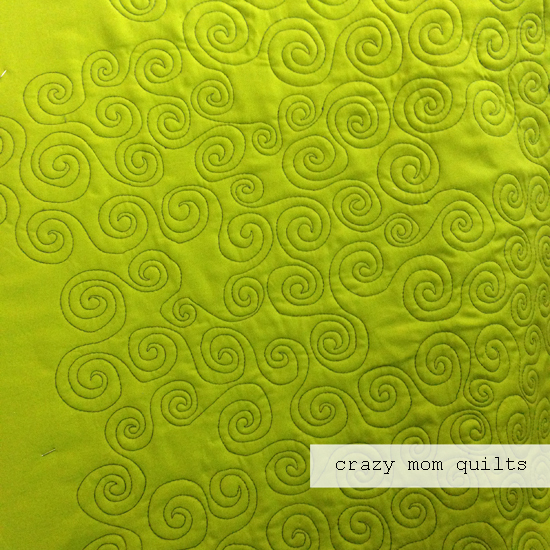 I plan to start playing around with hand quilting designs tonight! It's been one year since my good neighbors fabric was released. That may be a silly thing to celebrate, but I, for one, am excited that it is still available in both yardage and pre-cuts. I have enjoyed seeing how others have used the fabric. 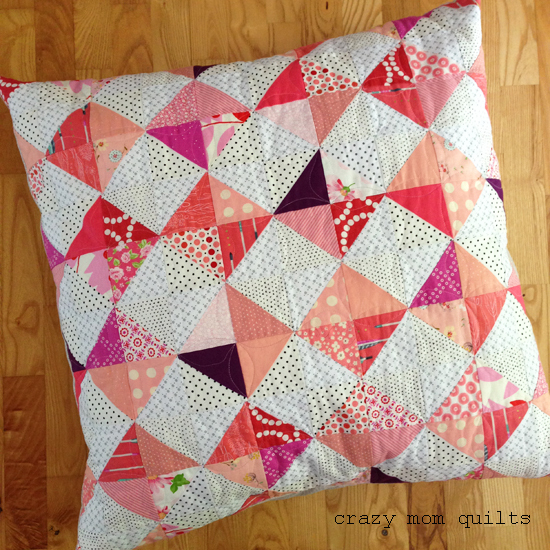 I also enjoyed working it into all kinds of projects...from quilt backings to pincushions. 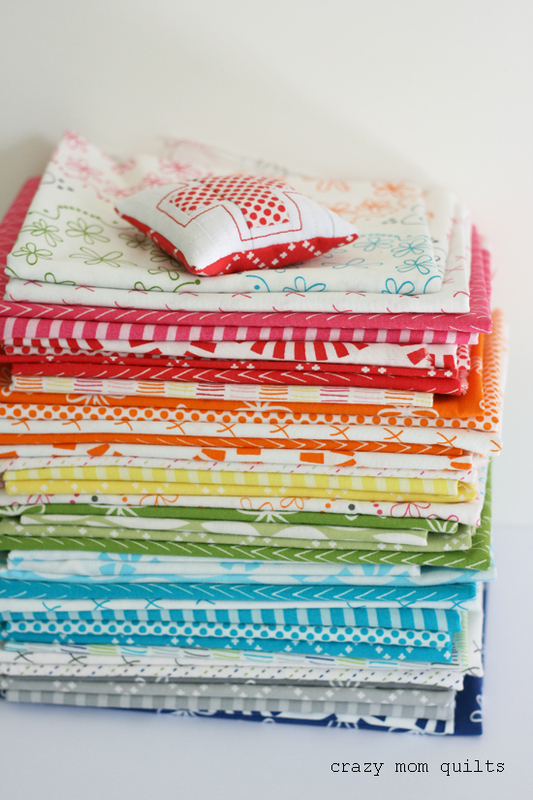 To celebrate, I'm going to give away two bundles of good neighbors fabric...one in a warm colorway, one in a cool colorway. The giveaway is open to all. International entries are welcome with the stipulation that you will be willing to cover shipping costs, should you win a bundle. If you would like to throw your name into the hat, please leave me a comment in this post. In your comment, I would like to know if you tend to gravitate toward warm colors or cool colors when you are making projects and also where you are from. 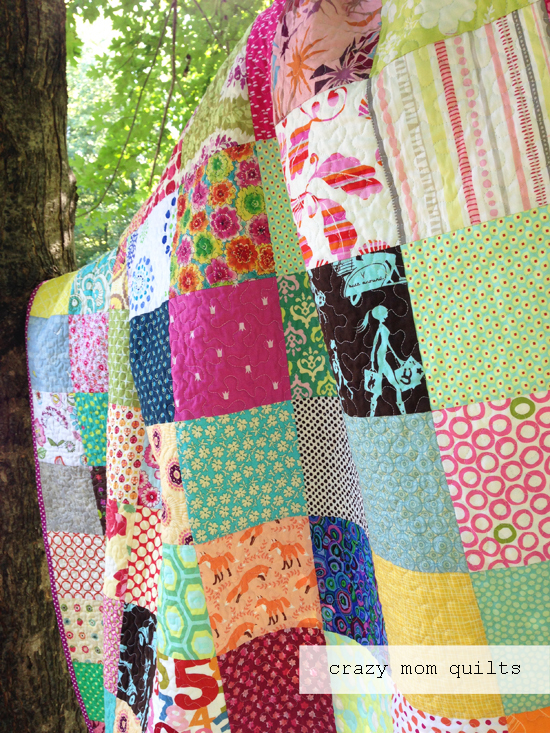 If you have made something with good neighbors fabric, I'd love to hear about that, too. :) I will pick a winner in a few days! Well, hello, hello! Happy September! I'm glad to be back from my blogging break! My kids started school this week and we are slowly getting back into a routine. Although I miss them during the day, man, the quiet is awfully nice! I've been working on cleaning the slate...trying to finish some quilts. I have a hundred new ideas (at the very least) that I want to try, so I have to get some of my WIPs cleared out. It's easy to get bogged down! 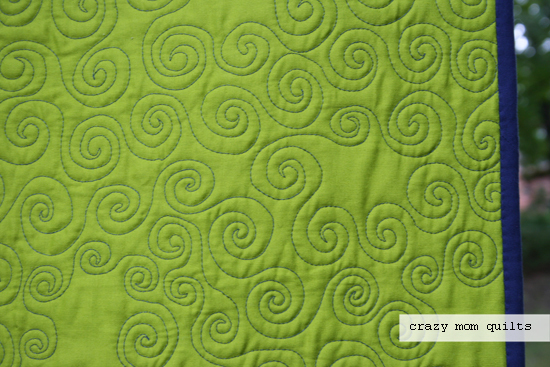 The back of the quilt is a funky green (Kona cotton in peapod) that shows every single stitch of the quilting. No pressure there! Ha! I have a long way to go on this one, but it feels good to be one step closer to finishing! I don't share a lot of recipes here on the blog, but this one is such a good one! 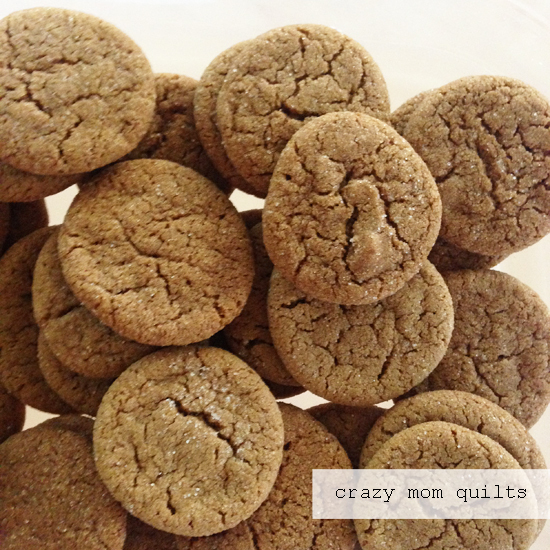 I made a batch of ginger molasses cookies yesterday....they are perfect for the fall weather that is just around the corner. This makes a big batch-plenty for your family and plenty to share with others. It's a keeper! In a large bowl, cream butter and brown sugar. Add eggs, one at a time. Beat well. Add the molasses and beat on medium-low speed until combined. Gradually add the dry ingredient mixture and beat until combined. Cover the dough and refrigerate for 30 minutes or more. 12-13 minutes. Let the cookies sit on the baking sheet for about 1-2 minutes, then transfer to wire cooling rack to cool completely. Store for up to one week in a sealed container. If you try this recipe, I'd love to hear what you think! See you tomorrow for finish it up Friday!